If you want to go to competitions, learn tumbling and stunts like the all-star/competitive cheerleading you need the mindset to really be successful. You have to be flexible, strong, and eat healthy, besides learning the basics. 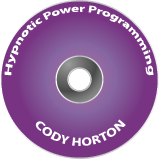 This takes confidence and this hypnotic power program will help you do just that!